Character. Coste: 4. FUE: 3. 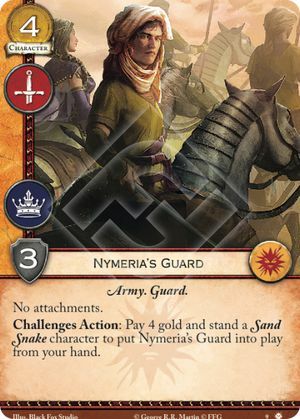 Challenges Action: Pay 4 gold and stand a Sand Snake character to put Nymeria's Guard into play from your hand.